Follow up #1) Our local Love Locks Bridge has its first few plexiglass panels installed. I'm there to witness and photograph the process. I'm not actually there when the first, second, or fifth jackasses graffiti on the new plexiglass panel, but needless to say, it's only a matter of days (minutes?) before it happens. Yes, Juan Carlos and Indara, we see you're in love. And that you're idiots. Mysteriously, the panels on the other side remain pristine. I'm vaguely wondering how long it will be before somebody reaches behind it to lock onto the railing behind the plexiglass. If I'm there for it, though, I will not be shy about telling them off. "Obviously, if you're any good at Maths in a country where how well you do in life is directly linked to how well you do in Maths, why would you become a teacher? A middle school teacher when you could teach high school? And if by any chance you're passionate enough to still go that route, you might want to be a substitute in a region that's almost impossible to get otherwise, such as Nice or Brittany...but not in Paris! So, yeah.. Maths sub in Paris is indeed a pretty rare species..."
Meanwhile, the school sends us our first-ever advance notice of a teacher who will be missing and replaced by a substitute.... in music class. There's a music teacher at school who must have that period free, so while she missed approximately 3 weeks of math class this fall (before her teacher left the school for personal reasons and was permanently replaced), she will not be missing even one minute of her hour-long music class. Praise the Lord! Crisis averted. 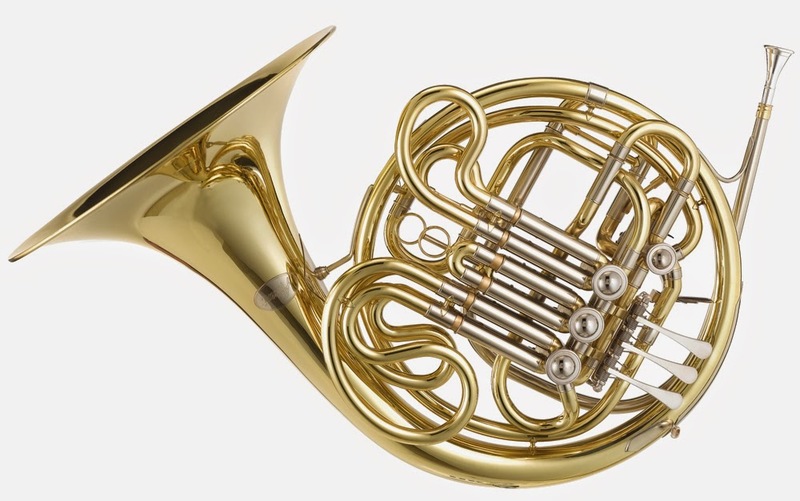 Follow up #3) It turns out that the instrument we call in English the "French horn" is called -- in French -- officially the "Cor d'Harmonie" (Harmony Horn) but more colloquially the "Cor Anglais" or "English horn". Follow up #4) Now that we've gotten rid of the lice, what does a women recovering from a breast cancer mastectomy need most of all? You get ten more points if you guessed "a mouse running across your living room floor!" I see this last night when I go in to turn on the printer, then scream and slam the door. I am now afraid to go into the room or to put on any of my pairs of shoes that have been lying about. As a result, I now turn on the lights, knock, and sing out "yoo-hoo!" when I enter a room to make sure I don't see it again. Never have I felt more stereotypically girly. Next I'll be jumping on tables and fainting. Needless to say, Anthony looks but can't find the critter. He believes me, however, because I tell him that a) I am 1,000% sure I saw it (yes, that's 10x more sure than perfectly sure) and b) I will leave him forever if he ever utters the phrase, "if there was a mouse..." The correct phrases are "the mouse you saw", "the mouse in the living room", or "the mouse I couldn't find", but I could identify that rodent in a line-up, so don't even hint that I didn't see what I know I saw. The mouse is not in a beret, cooking gourmet food, so it is not the guy from the Disney movie Ratatouille but rather a wild, city mouse, probably unleashed from a massive construction job next door. As soon as I mention this mouse to Parisians, the answer is unanimous: visit the Aurouze store by Les Halles, with the dead rats in the window. I would love to be one of these people who humanely traps him then sets him free in the Jardin des Plantes, but that takes far more getting-close-to-the-mouse than I'm willing to do. If one of my less squirrelly (pardon the almost-pun) friends wants to do this for me, you're welcome to come help. At least, I can assure you, you won't catch lice from us. Tomme Ariégoise, though it comes from sheep country, is a cows' cheese, made from raw milk from Brune des Alpes breed cows. It's named after the place where its made, by the Parc Naturel Régional des Pyrénées Ariégeoises, right next to the Spanish border. It may also be sold under the name of Petit Fuxéen and is not to be confused with the Tomme Ariégoise that looks very similar, is made in the same place, but is a goat cheese (not to be confused, ha! : How could you not confuse them?!). This tomme has a beautiful, light orange crust that it develops during six weeks of aging with regular salt-water rubbing. It has a creamy-rubbery texture with, obviously, a lot of air holes caused by trapped bubbles during the aging process. The flavor is mild, grassy, and sweet. Tomme Ariégoise is very much like a Bethamale, in pretty much everything but name. 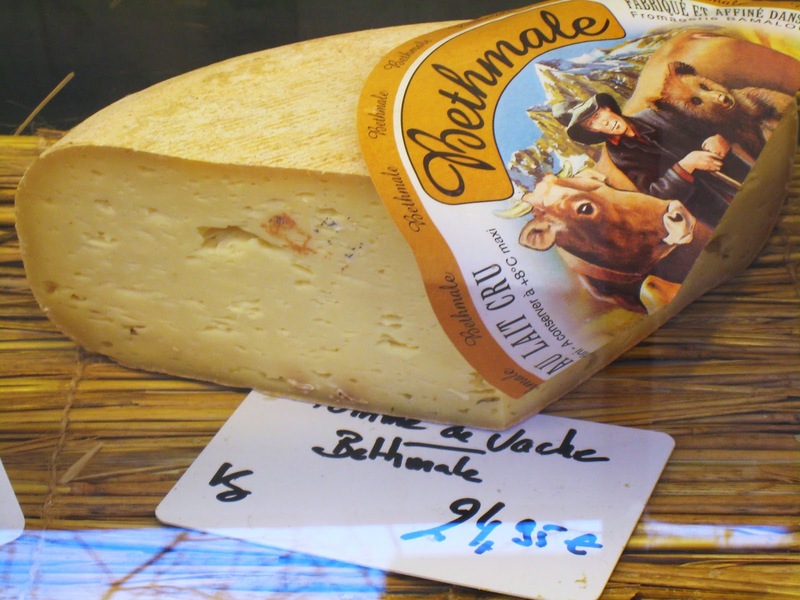 In fact, when I buy the Bethmale, the seller doesn't have a tag for that in his computer system, so he writes up the ticket saying "Tomme Ariégoise". That makes this something of a follow-up cheese to that story. Plus, Bethmale is the cheese I use for my story on Aurouze, the extermination and critter store that sells the "perfect" mouse trap. I'll be paying that store a visit very soon.